Last week the nation woke up to yet another political drama in the unholy chambers of the National Assembly. At the centre of it all was the President of the Senate, Dr. Bukola Saraki and his deputy in the Senate. Saraki has managed to create an air of invincibility around his person. Having vanquished the Executive arm of government in the highest court in the land, the Supreme Court, Saraki was confident enough to take on anybody. 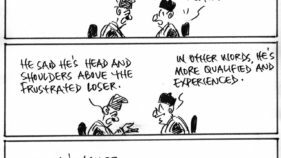 This was after outsmarting the Jagaban himself in the quest for the Senate President early in the life of this administration. While the matter lasted in court most Nigerians had actually taken sides with the government by finding Saraki guilty on account of the charges. For, as we know, Nigerians are quick to believe ANY negative story which comes out about public officers. All public officers in the eyes of Nigerians are guilty until proved innocent. It is our way of life. Nothing can change that for now. But the narrative of guilt is changing. We now believe that Saraki is a victim of official persecution. The events of that day targeted the Senate president and his deputy, Mr. Ekweremadu. We are told that the powers-that-be did not want the session of that day to hold. Saraki managed to find his way to the National Assembly and the rest they say his history. He not only outsmarted his foes with planting a decoy, he actually presided over the liquidation of the APC Empire in Senate! Through it all, he had a mischievously -victorious smile on his face. I suppose everyone must be wary of a man who retired his mentor-father from politics and took sides against his biological sister! 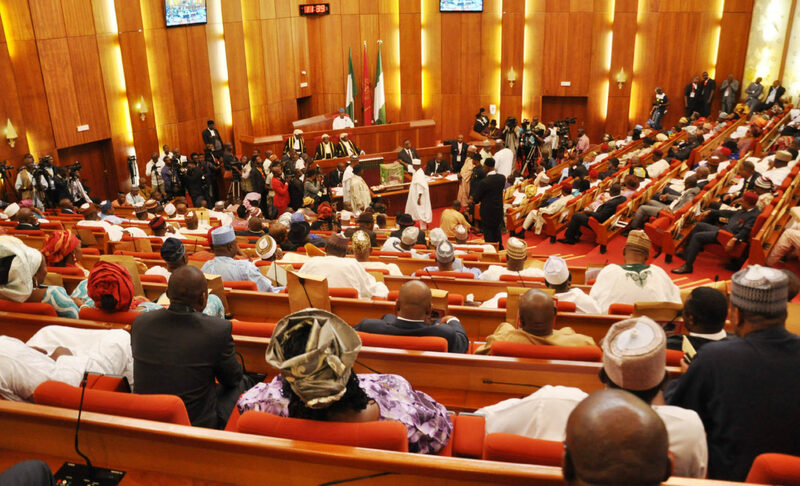 Fifteen senators decamped from the ruling APC. While a good number berthed in PDP a few stragglers went elsewhere. One of them at the time of writing was still hanging on the road to nowhere. We are told also that one the senators from Kaduna turned out to be a snitch. For letting the cat out of the bag, he got a mighty handshake from the executive arm. The noxious spectacle was repeated in the House of Representatives where 37 honourable members jumped ship. The narrative is the same. Some governors are ready to move. Governor Ortom has dumped the APC and returned to his first love. Kwara State Governor will move soon. Governor Tambuwal has also crossed from APC. 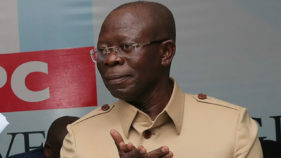 The APC under the leadership of President Buhari and Mr. Adams Oshiomhole is sinking. It is time to move on, they all seemed to say. Our minds flashed back to the gang up that pushed GEJ out of office. What happened in the house of sheep has happened in the house of goat. Cross carpeting is not new in our national history. Even in the First and Second Republics when the parties had some pretence to ideological differences, it was not difficult for party members to move either individually or en masse. Action Group and NCNC members had no problems cross-carpeting in spite of the near-socialist tenor of the former. Indeed the current political parties in Nigeria are all the same in method of operation. The individuals are all friends, and are sworn to the same ethical principles, if ethical principles we can call them. The reason for being in a party is to grab power. There is no deep conviction, no philosophy, no idealism that could serve as a fulcrum to development. There is a sense in which we can say that the struggle in the National Assembly is about whether or not President Buhari should be given the party’s ticket for a second term. 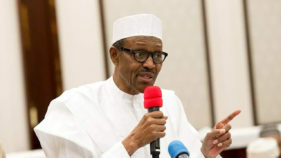 Although the party has given the nod to President Buhari, there is deep discontent within the party about his tactics. But it is also true that too many people have eyes on the presidential ticket. Buhari’s selling point is the anti-corruption toga. There is hardly any of the potential gladiators that can mouth anti-corruption as a toga with a straight face. Which is a tragedy! Sadly, President Buhari has not fully utilised his capital! The Nigeria Police say Saraki has a case to answer in an armed robbery bloodbath that shocked the nation a few months back. He has been treated like a common criminal. No one is above the law. If Saraki’s boys used his coverage to carry out criminal actions he ought to explain to the Police and clear his name. But he is the Number 3 man in the country. He is infinitely wealthy. No Nigerian believes that Saraki sponsored his boys to rob banks. It is easier to rob a government of billions with a pen than to rob 20 banks with armoured tanks. To deepen the confusion the Attorney-General of the Federation has written to say that there is no established link between Saraki and the confessed criminals. But the considered opinion of the AG has not swayed the IG and his boys from handling the matter in a yoyo manner. The script of the drama was scripted without an input from the AG. All these are signs of a dysfunctional government. Sad for a government that came into office with a lot of good will locally and internationally. In all of this there has been no indication of fundamental differences about legislative actions in favour of the people. These have been personal fights. Not for the promotion of an agenda. If for example there was a fundamental difference between the executive and the legislature on restructuring or creation of state police or revenue formula, Nigerians would be appreciative. Thus we are witnessing a patently anti-people, self-interest-protecting, set of politicians in power locked in mortal combat over the nation’s resources. There is sadness across the country. There is hunger in the land. There is palpable uncertainty. Unemployment is a big problem. Salaries are either delayed or not paid at all. The security situation is terrifying. Nigerians who live abroad are scared of coming home. People who live in Lagos and Abuja are afraid to visit their home towns. Kidnapping is real. Boko Haram is raging in the north east in spite of the technical defeat which the government proclaimed last year. Murderous herdsmen are on the rampage. There is no affirmative action to deal with these issues. A government that has failed to address all these issues in any meaningful manner is plotting and scheming to return to power in 2019. Nigerians are watching. The signs are not good. Government has failed the people. The question on every lip is: are there no alternatives to the gladiators in the dominant parties? Can a Third Force arise and make a clean break with the past and re-order Nigeria? Sadly, there are no indications that we are on the path to paradise. But we must keep our fingers crossed and use our voters’ card wisely next year. And defend it too so that Ekiti does replicate itself at the national level!